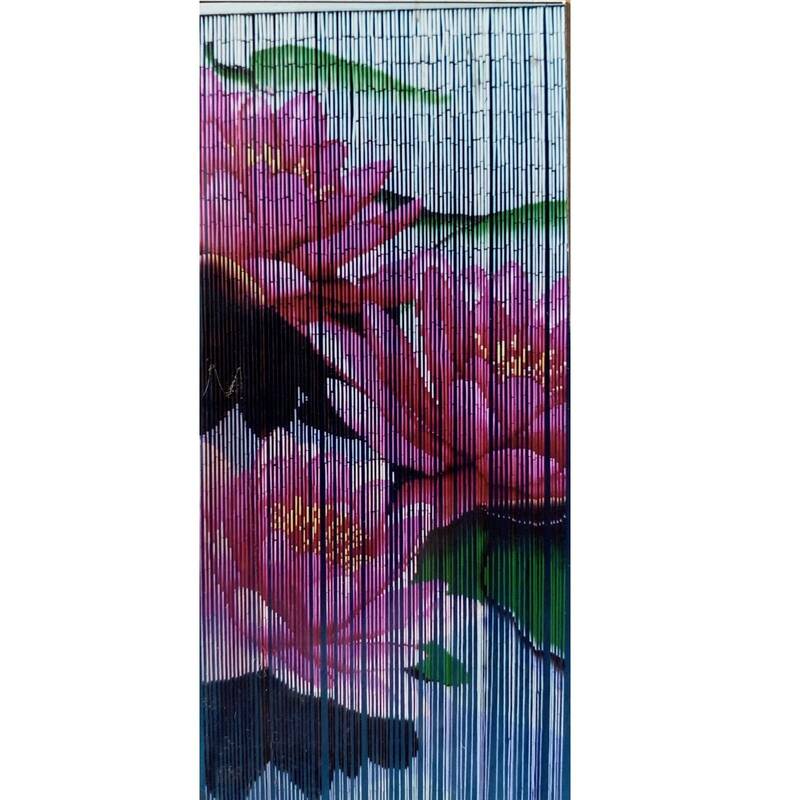 Sensational quality bamboo beaded door curtain with a lotus flower design. We offer a 60 day money back guarantee on all products. If you are not satisfied with your purchase, we will refund the purchase price. All goods must be returned at the buyer's expense and be in the same condition as received, including all original packaging. If you have any enquiries, concerns or complaints regarding the product or our service please send us a message. Every customer is important to us and we will do our best to ensure that your experience with us is nothing short of excellent. We ship via International Registered Post to all countries. Please note additional costs (import duties & taxes) may be applicable to you upon arrival of your item/s as per the customs rules/regulations in your country. Please contact your local customs office for further information.